Well, here’s my take on this. I’d also like your views and opinions. Before I begin I’d like to day something important. There is a new law — the so-called “Hate Speech” law, that just passed the House and is expected to pass the Senate and become law very soon. It was originally designed to guard against discrimination of oppressed minorities but was soon recognized as a way for Israel to forever end any criticism of the state of Israel and Zionism. When it is law, this page, and many like it will be deleted from the internet as yet another mile marker of the infringement of truth and free speech by certain dual-nationals at the expense of true and patriotic Americans. Enough said. Before Viewzone asked me to research the meaning of “dual citizenship,” I had never heard of the term. How could someone be a citizen of two countries at the same time? But I was just ignorant. Dual nationalities and citizenships are quite common. In 1996, Dominicans from New York not only could vote in the Dominican Republic’s presidential elections for the first time, they could vote for a fellow New Yorker. Multiple nationalities have become so commonplace that some analysts fear the trend is undermining the notion of nationhood, particularly in the place with the most diverse citizenry on Earth: the United States. Debate over the issue intensified in the late 1990s, when Mexico joined the growing list of poor nations that say it’s OK for their nationals to be citizens of the countries to which they have migrated. Under the law that took effect in 1998 Mexicans abroad — most of them in the United States — will be able to retain Mexican citizenship even if they seek U.S. citizenship. And naturalized Americans of Mexican descent will be able to reclaim their original citizenship. The Mexican government stopped short, for now, of giving expatriates the right to vote. Today’s conflicts are centered in the Middle East. America needs to balance foreign policies towards oil producing Arab nations with our goal being peace and stability in the region. This places a burdon on our government to be even-handed in our dealings with the Arab world and Israel. While the Iraq War was waged on lies about Weapons of Mass Destruction and revenge for 911, the real reason has emerged as a well designed global plan to improve the power and leverage of Israel. Added to this policy is yet another potential blow to American interests and security — the impending War with Iran. This war will be waged for the security of Israel and will be paid for by the blood of American soldiers and the hard-earned money of American citizens whose quality of life is inversely tied to the cost of petrolium. because he stole more secrets from the U.S. than has any other spy in American history. During his interrogation Pollard said he felt compelled to put the “interests of my state” ahead of his own. Although as a U.S. Navy counter-intelligence specialist he had a top-secret security clearance, by “my state” he meant the state of Israel. One is Rabbi Meir Kahane, who founded the militant Jewish Defense League in the U.S. in the 1960s, then emigrated to Israel where, eventually, he was elected to the Knesset. Until he was shot and killed at one of his U.S. fund-raising rallies in 1990, the Brooklyn-born rabbi shuttled between Tel Aviv and New York, where he recruited militant American Jews for his activities in Israel against Palestinians. He claimed to be a “dual citizen” of America and Israel. Then there was Alan Harry Goodman, an American Jew who left his home in Baltimore, Maryland, flew to Israel and served in the Israeli army. Then, on April 11, 1982, armed with an Uzi submachine gun, he walked, alone, to Al-Aqsa, Jerusalem’s most holy Islamic shrine, where he opened fire, killing two Palestinians and wounding others. Both the U.S. and Israeli governments played down the incident, as did the media. Most recently, US Navy Petty Officer, Ariel J. Weinmann, while serving at or near Bahrain, Mexico, and Austria, “with intent or reason to believe it would be used to the injury of the United States or to the advantage of a foreign nation (Israel), [attempted] to communicate, deliver or transmit classified CONFIDENTIAL and SECRET information relating to the national defense, to a representative, officer, agent or employee of a foreign government.” Weinmann was apprehended on March 26 after being listed as “a deserter by his command,” according to the US Navy. The information he gathered was supplied to Israel. Ben-Ami Kadish, a Connecticut-born U.S. dual citizen who worked in New Jersey was arrested and charged with giving top secret nuclear information and details about the US Patriot Missile to an Israeli agent — the same agent involved with the Jay Pollard case. The espionage charges reportedly stem from acts committed in the 1980s. These activities, like the ones with convicted spy Pollard, were immediately denied by Israel (Pollard pleaded guilty in 1986). It is further reported that Israeli officials instructed Kadish to lie to US investigators. 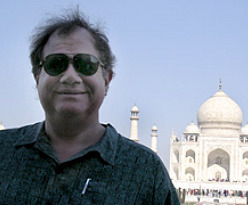 Kadish was scheduled to be arraigned on April 22, 2008 at U.S. District Court in Manhattan. 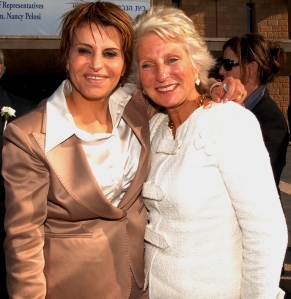 In 2009 it was revealed that the NSA had secretly taped conversations of Congresswomen Jane Harman [pictured above on the right with Israeli Knesset Speaker, Dalia Itzik] negotiating with two AIPAC spies accused of giving sensitive information about US military activities to the Israeli government. In the taped conversation she is being asked to dismiss their espionage charges in return for large politiacl contributions and (are you ready) a chairmanship of the US Intelligence Committee! One has to assume that they thought they could actually “arrange” for this to happen. This information was secretly revealed by the NSA to Nancy Polosi prior to the selection of the committee chairman and was a factor (let’s hope, anyway) in Harmon’s failure to obtain this highly sensitive position. After all was said and done, however, the case against the two Israeli lobbyists was dismissed — against the insistance of the FBI. No satisfactory reason has been given for this. Unfortunately, such an act of treason remains unchallenged and Jane Harman remains at her congressional job and enjoys being the third wealthiest member of Congress. Only in America! In 1967 an American Jew, Beys Afroyim received an exemption that set a precedent exclusively for American Jews. Afroyim, born in Poland in 1895, emigrated to America in 1912, and became a naturalized U.S. citizen in 1926. In 1950, aged 55, he emigrated to Israel and became an Israeli citizen. In 1951 Afroyim voted in an Israeli Knesset election and in five political elections that followed. So, by all standards he lost his American citizenship — right? Wrong. After living in Israel for a decade, Afroyim wished to return to New York. In 1960, he asked the U.S. Consulate in Haifa for an American passport. 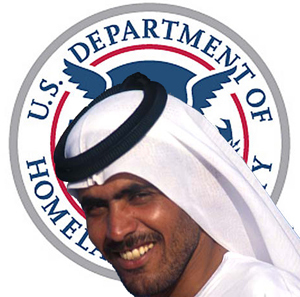 The Department of State refused the application, invoking section 401 (e) of the Nationality Act — the same ruling that had stripped the American citizen named Perez of his U.S. citizenship. Attorneys acting for Afroyim took his case to a Washington, DC District Court, which upheld the law. Then his attorneys appealed to the Court of Appeals. This court also upheld the law. The attorneys for Afroyim then moved the case on to the Supreme Court. Here, with Supreme Court Justice Abe Fortas, Lyndon Johnson’s former attorney and one of the most powerful Jewish Americans, casting the swing vote, the court voted five to four in favor of Afroyim. 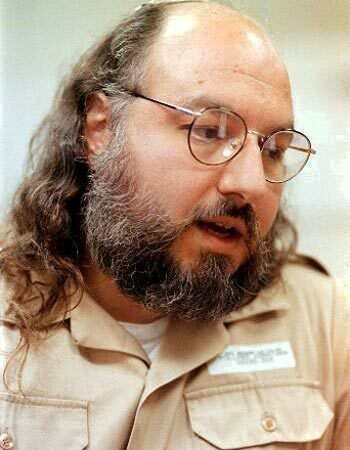 The court held that the U.S. government had no right to “rob” Afroyim of his American citizenship! The court, reversing its previous judgment as regards the Mexican American, ruled that Afroyim had not shown “intent” to lose citizenship by voting in Israeli elections. Huh? While Washington claims it has a “good neighbor” policy with Mexico, the U.S. does not permit Mexicans to hold dual nationality. The US makes them become either U.S. or Mexican — you can’t be both. But the U.S., in its special relationship with Israel, has become very sympathetic to allowing Israeli-Americans to retain two nationalities and allowing U.S. citizens not only to hold public office in Israel, but to hold US government positions as well! No other country holds this special exception to our laws of citizenship. Recently appointed as US Attorney General. Mukasey also was the judge in the litigation between developer Larry Silverstein and several insurance companies arising from the destruction of the World Trade Center on 9/11/2001. Franklin will “remain free while the government continues with the wider case” and his “prison time could be sharply reduced in return for his help in prosecuting” former AIPAC members Steven J. Rosen and Keith Weissman, [who] are scheduled to go on trial in April . Franklin admitted that he met periodically with Rosen and Weissman between 2002 and 2004 and discussed classified information, including information about potential attacks on U.S. troops in Iraq. Rosen and Weissman would later share what they learned with reporters and Israeli officials.” (source: sourcewatch.com). Under Secretary of Defense and Policy Advisor at the Pentagon. He is a close associate of Perle and served as his Special Counsel. Like Perle and the others, Feith is a pro-Israel extremist, who has advocated anti-Arab policies in the past. He is closely associated with the extremist group, the Zionist Organization of America, which even attacks Jews that don’t agree with its extremist views. Feith frequently speaks at ZOA conferences. Feith runs a small law firm, Feith and Zell, which only has one International office, in Israel. The majority of their legal work is representing Israeli interests. His firm’s own website stated, prior to his appointment, that Feith “represents Israeli Armaments Manufacturer.” Feith basically represents the Israeli War Machine. Feith also came from the Jewish thinktank JINSA. Feith, like Perle and Wolfowitz, are campaigning hard for this Israeli proxy war against Iraq. President Nixon seriously doubted whether Kissinger could be impartial on Middle East policy saying, “Anybody who is Jewish cannot handle” Middle Eastern policy. He was proven right in 1973 when Kissinger purposefully withheld news of Israel’s attack on Egypt and Syria during the Yom Kippur War for three and a half hours so Nixon would not intervene in the conflict. 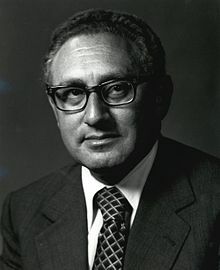 Kissinger then tried to cover up his treason by telling Nixon’s Chief of Staff to lie to the media and say that Nixon was informed immediately after the attack. This unfortunately was a pattern. On October 7, a telephone transcript between Nixon and Kissinger revealed that Kissinger was purposefully keeping relevant information from Nixon regarding Soviet perspectives on Middle East policy. And on October 23, Kissinger secretly drafted a letter to the Soviet leader without Nixon’s consent, and even raised America’s military readiness level to Def Con 3 without discussing it with the president. Although the US gave up some extremely costly and strategic concessions as a result of Kissinger’s 1975 memorandum, there was absolutely no tangible benefit for the United States of America in the agreement. As a result of these facts, the 1975 Israel-United States Memorandum of Understanding was kept secret from the American people. In fact, the only reason the agreement is even known today is because the New York Times uncovered the agreement, which forced the government to quietly put it into the Congressional records. The 1975 Israel-United States Memorandum of Understanding was quietly renewed in 1979 for another 10 years, and may still be in effect today. Given the governments propensity to keep this arrangement secret, it is impossible to find out if it was secretly renewed for a third or fourth time. This treasonous pattern of sacrificing American interests for Israeli interests has not been altogether uncommon in American politics. Dov Zakheim is also a member of the Council on Foreign Relations and in 2000 a co-author of the Project for the New American Century’s position paper, Rebuilding America’s Defenses, advocating the necessity for a Pearl-Harbor-like incident to mobilize the country into war with its enemies, mostly Middle Eastern Muslim nations. He was appointed by Bush as Pentagon Comptroller from May 4, 2001 to March 10, 2004. At that time he was unable to explain the disappearance of $1 trillion dollars. Actually, nearly three years earlier, Donald Rumsfeld announced on September 10, 2001 that an audit discovered $2.3 trillion was also missing from the Pentagon books. That story, as mentioned, was buried under 9-11’s rubble. The two sums disappeared on Zakheim’s watch. We can only guess where that cash went. Judicial Inc’s bio of Dov tells us Zakheim is a dual Israeli/American citizen and has been tracking the halls of US government for 25 years, casting defense policy and influence on Presidents Reagan, Clinton, Bush Sr. and Bush Jr. Judicial Inc points out that most of Israel’s armaments were gotten thanks to him. Squads of US F-16 and F-15 were classified military surplus and sold to Israel at a fraction of their value. Director of Policy Planning at the State Department and Ambassador at large. He is also Director of National Security Programs and Senior Fellow at the Council on Foreign Relations (CFR). He was one of the more hawkish pro-Israel Jews in the first Bush (Sr) Administration who sat on the National Security Council, and who consistently advocated going to war against Iraq. Haass is also a member of the Defense Department’s National Security Study Group, at the Pentagon. Former UN Representative and Under-Secretary of State for Arms Control and International Security. Bolton is also a Senior Advisor to President Bush. Prior to this position, Bolton was Senior Vice President of the above mentioned pro-Israel thinktank, AEI. He recently (October 2002) accused Syria of having a nuclear program, so that they can attack Syria after Iraq. He must have forgotten that Israel has 400 nuclear warheads, some of which are thermonuclear weapons (according to a recent U.S. Air Force report). I don’t know about you, but dual citizenship is fine with me for an ordinary citizen. But if you hold an official position that demands that you put American interests above all else — if you should look transparent and fair to the rest of the world regarding your formation of Middle East foreign policies, then this is a ridiculously dangerous trend. Even if there were no pro-Israeli agenda, the fact that decision makers have a bias or an allegiance to one of the parties involved in the current conflict should have raised red flags long before now. If you think we’re being unfair here, ask yourself: How you would react to the Head of Homeland Security if he or she were a dual national with citizenship in Iran, Lebanon or Saudi Arabia? Ask yourself why you don’t feel the same about Israeli dual citizenship. Then you will understand how powerful the Israeli lobby has been in “adjusting” your acceptance of their special status. In Jerusalem, Israeli government officials had no immediate comment. A scientist credited with helping discover evidence of water on the moon has been arrested on charges of attempting to pass on classified information to an FBI agent posing as an Israeli intelligence officer. The US justice department said Stewart David Nozette, 52, was charged with attempting to communicate, deliver and transmit classified information to an individual he believed to be an Israeli intelligence officer. The criminal complaint against Nozette does not allege that Israel’s government or anyone acting on its behalf violated US law. In Jerusalem, where the story broke late at night, Israeli government officials had no immediate comment. Nozette, from Maryland, was arrested yesterday by FBI agents. He is expected to appear in federal court in Washington today. In an affidavit supporting the complaint, Leslie Martell, a FBI agent, said that on 3 September, Nozette received a telephone call from an individual purporting to be an Israeli intelligence officer. The caller was an undercover FBI agent. Nozette agreed to meet with the agent later that day at a hotel in Washington. During the meeting the two discussed Nozette’s willingness to work for Israeli intelligence. The scientist allegedly said that he had, in the past, held top security clearances and had access to US satellite information, the affidavit said. Nozette also was alleged to have said he would be willing to answer questions about this information in exchange for money. According to the affidavit, the agent explained that the Israeli intelligence agency, Mossad, would arrange for a communication system so Nozette could pass on information in a post office box. Sept. 4: Nozette and the agent met again in the same hotel. The scientist allegedly said that while he no longer had legal access to any classified information at a US government facility, he could, nonetheless, recall classified information by memory. He allegedly asked when he could expect to receive his first settlement, saying he preferred cash amounts “under ten thousand” so he didn’t have to report it to merchant accounts. (Anti-money laundering laws require that all transactions of $10,000 (Â£6,000) or more must be reported to the US tax authorities). Nozette allegedly told the agent, “Well, I should tell you my first need is that they should figure out how to pay me … They don’t expect me to do this for free.” Like most businessmen he was watching and securing his personal finance. Sept. 10: Undercover FBI agents left a letter in the designated post office box, asking Nozette to answer a list of questions about US satellite information. The agents provided a $2,000 cash payment. Serial numbers of the bills were recorded. Sept. 16: Nozette was captured on videotape leaving a manila envelope in the post office box. The next day, agents retrieved the sealed envelope and found, among other things, a one-page document containing answers to the questions and an encrypted computer thumb drive. One answer contained information, classified as secret, that concerned capabilities of a prototype overhead collection system. Sept. 17: Agents left a second letter in the post office box with another list of questions about US satellite information. The FBI also left a cash payment of $9,000. Nozette allegedly retrieved the questions and the money the same day. Oct. 1: Nozette was videotaped leaving a manila envelope in the post office box. FBI agents retrieved it and found a second set of answers. The responses contained information classified as top secret and secret, involving US satellites, early warning systems, means of defence or retaliation against large-scale attack, communications intelligence information, and major elements of defence strategy. Nozette had worked in varying jobs for the department of energy, the national aeronautics and space, and in the national space council in the president’s office in 1989 and 1990. The scientist developed the Clementine bistatic radar experiment that purportedly discovered water on the south pole of the moon. He worked from approximately 1990 to 1999 at the department of energy’s Lawrence Livermore National Laboratory in California, where he designed highly advanced technology. At the department of energy, Nozette held a special security clearance equivalent to the defence department top secret and “critical nuclear weapon design information” clearances. Department of energy clearances apply to access to information specifically relating to atomic or nuclear-related materials. Nozette also held top offices at the Alliance for Competitive Technology, a nonprofit company that he organised in March 1990. Between January 2000 and February 2006, Nozette, through his company, had several agreements to develop advanced technology for the US government. He performed some of the research and development at the US Naval Research Laboratory in Washington, the Defence Advanced Research Projects Agency in Arlington, Virginia, and at Nasa’s Goddard Space Flight Centre in Greenbelt, Maryland. Four-fifths of the U.S. House and Senate recently declared in correspondence to Secretary of State Hillary Clinton that the U.S. must reaffirm its “unbreakable bond” with Israel. What persuaded our Congress to proclaim their loyalty to Israel while our military is waging war in the Middle East based on fabricated intelligence? Any sober assessment of this bond must concede a need to reappraise its cost in blood and treasure. Yet the Congress – our Congress – opposed that reassessment even as our commander-in-chief seeks to end a brutal Israeli occupation of Palestine that has provoked worldwide outrage for more than six decades. The Congress and the president are sworn to the same oath of office. That oath obliges them to protect the U.S. from all threats, both foreign and domestic. The facts confirm a common pro-Israeli source of the phony intelligence that took our military to war in Iraq. All the evidence points to Israel or its surrogates, including those in the Congress. Is that why the Israel lobby pressed the Congress for a pledge of allegiance to Israel? 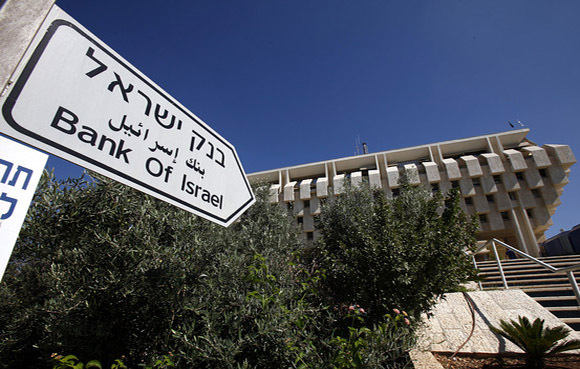 In yet another confirmation of the Jewish Supremacist control over America’s federal reserve system—and therefore, over much of the world’s monetary systems—the former head of the Bank of Israel is about to be nominated as vice-chair of the Federal Reserve. 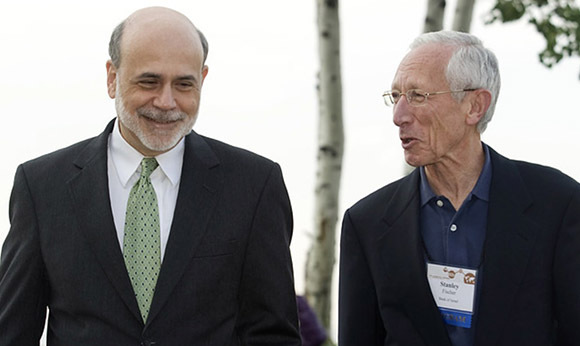 The nomination of former Bank of Israel chief Stanley Fischer follows the appointment of fellow Jewish Supremacist and former vice-chair Janet Yellen to the position of chair. Fischer, who has dual citizenship in the U.S. and Israel, served from 2005 through last June as the head of the Bank of Israel. As a professor at the Massachusetts Institute of Technology in the 1970s and 1980s, he taught a number of the world’s top policy makers in international economics, including current Fed chairman Ben Bernanke, who earned his Ph.D. in 1979. Although Fischer was born in what was then Northern Rhodesia (now Zambia) and educated in South Africa, he obtained instant Israeli citizenship when appointed to the post of Bank of Israel chief—one of the benefits of belonging to an international tribe of Supremacists who pretend to be citizens of host nations, but always have an undivided loyalty to their own race first and foremost. * In addition to Yellen and Fischer, the Obama administration has also recently nominated two more known Jewish Supremacists, attorney and regulator Sarah Bloom-Raiskin, and Massachusetts Institute of Technology economics professor Peter A. Diamond to the Federal Reserve Board. Earlier this year, the Jewish Press (The Jewish Daily Forward) boasted to its readers about the Jewishness of the Federal Reserve Board. In an article titled “Janet Yellen Brings Jewish Side to Fed—Again”, saying that “Yellen, whose nomination to head America’s central bank was reported Tuesday, will follow her immediate predecessor Ben Bernanke who was Jewish, and Bernanke’s immediate predecessor, Alan Greenspan, who was Jewish, too. ” We have been thoroughly subverted by jews, America is not a democracy, at all. We The People of the strongest country on earth who think America is a Democracy have been lied to, the U.S. is ran by jews who care only for themselves and Israel, not Americans or any other Goyim on earth. IT’S TIME to end this treasonous insanity.